There was always much rivalry between Southwick and Shoreham for many years and particularly during the late 19th and early 20th centuries. This often developed into serious fights between men of both towns, usually on Saturday nights at Kingston Bridge when both sides were doubtless fuelled by quantities of beer previously imbibed. Even into the 1960’s fights occurred between rival gangs from both towns. Initially unrelated to this conflict one weird prank carried out by a Southwick youngster named Legg reputedly killed his cat and presented it as a rabbit meal at the Cricketers Inn at Southwick Green in 1878/9. This event was recorded in rhyme (see page 3) by George Rome, a Southwick dairyman although the prank was not well received and it seems that local opinion was such that Legg felt obliged eventually to leave Southwick. 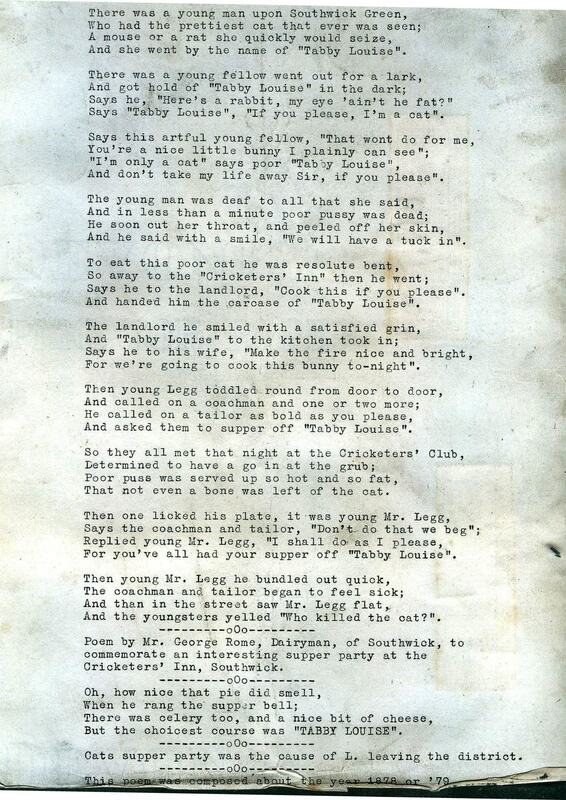 This may have prompted the pub landlord at a later date to repeat the prank as in one of his excellent ‘Bygones’ articles for the Shoreham Herald, Alan Upton writes that the Shoreham football team was invited to The Cricketers for an end of season rabbit meal when the pub’s recently deceased cat was added to the meat. Shoreham and and Southwick were not playing regular competitive matches until the formation of the West Sussex League in 1896 and the 1879 poem (unless the typed transcript altered the original) makes no mention of Shoreham’s involvement. Whatever the reason word got around and soon anyone from Southwick were known as ‘cat eaters’ whereupon Southwick retaliated with ’mussel eaters’ as a name for those from the neighbouring town (mussels grew plentifully then in the river Adur). The rivalry rose to a head once more in 1910 when proposals to extend New Shoreham’s jurisdiction to include Old Shoreham mooted that the parish of Kingston be included, the latter of which did not go down well with Southwick who also had ambitions to take it under its wing. 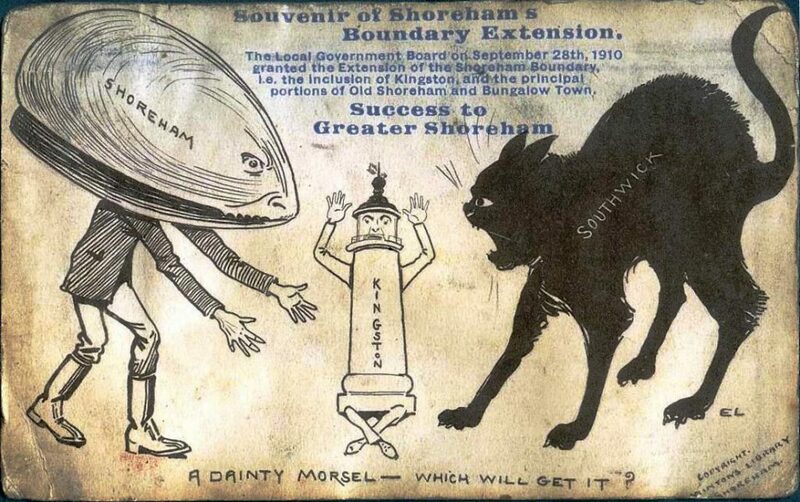 A postcard produced by William Winton & Son (from the Winton Collection) shows a humorous take on the situation when the Southwick cat and the Shoreham musselman concept was resurrected. 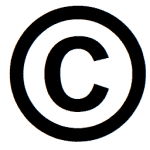 This was initially sold without the blue lettering (Kingston parish was represented by the lighthouse) in a forthcoming Local Government Board rearrangement of boundaries. In the event Shoreham got the vote following which the Wintons added the blue souvenir wording to the card. The term ‘musselmen’ has endured as the nickname of Shoreham’s football club but the use of ‘cat eaters’ or just ‘cats’ when referring to residents of Southwick has, sensibly, long since reverted to ‘wickers’ and particularly as a nickname for their football team.